Haute and Hotter! Feel good with advice and insight on fashion trends, skin and hair care, make-up and styling, pop art and photography, shopping tips and much more. 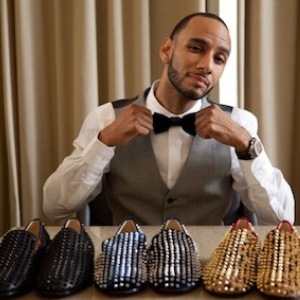 Swizz Beatz Debuts Exotic Skin Louboutin Sneaker! Jacket and Shoe Line Awaiting Release! Stylevolution! Christina Aguilera: From Girl Next Door to Bionic Woman! Digital Fashion! Top 7 Tips for Smart Online Shopping! Stylevolution! Queen Latifah: Girl Power to Cover Girl!